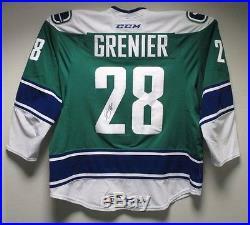 This jersey was worn and signed by #28 Alexandre Grenier! Customers have 30 days to return any item(s) to AHL Authentic. 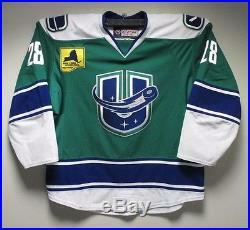 The item “Utica Comets Third Jersey Worn and Signed by #28 Alexandre Grenier” is in sale since Monday, April 03, 2017. 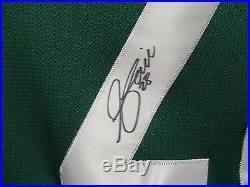 This item is in the category “Sports Mem, Cards & Fan Shop\Fan Apparel & Souvenirs\Hockey-Minors”. The seller is “ahlauthentic” and is located in Springfield, Massachusetts. This item can be shipped worldwide.